Sébastien is a Senior Lecturer (Associate Professor) in Management at Cass Business School, City, University of London. Prior to joining Cass, Sébastien was a Post-Doctoral Fellow in Strategic Management and Organization at the Alberta School of Business, University of Alberta. He received his PhD from the Faculty of Business and Economics (HEC), University of Lausanne. Sébastien is interested in change and stability in the interactions between business and society, around issues of corporate responsibility, governance and sustainability. He currently examines how firms interact with civil society in several research projects, notably on shareholder activism, sustainability programs in developing countries, sustainable banking, transnational private regulation, and the role of memory for corporate (ir)responsibility. 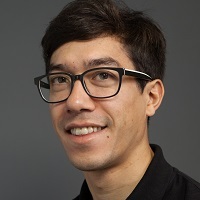 Sébastien's research has been published in outlets such as the Academy of Management Review, Human Relations and the Journal of Management Studies. He has received multiple awards for his research, such as a Finalist for Best Paper Award from the Academy of Management Review and the Best Sustainability Paper Award from the SIM division of the Academy of Management. Sébastien currently teaches mainly on diverse MSc programs at Cass (MSc in Management, Global Supply Chain Management, Marketing Strategy and Innovation, International Business), but has taught on BSc, MBA, EMBA and PhD programs in the past. He is also currently involved as a tutor on the Executive PhD program. Sébastien sits on the editorial boards of the Academy of Management Learning & Education, Academy of Management Review, Business & Society, and Business Ethics Quarterly. His service has been recognized multiple times by Best Reviewer Awards at these journals. Mena, S. and Rintamäki, J. (2019). Managing the Past Responsibly: A Collective Memory Perspective on Responsibility, Sustainability and Ethics. In Laasch, O., Jamali, D., Freeman, R.E., and Suddaby, R. (Eds. ), Research Handbook of Responsible Management Edward Elgar. Palazzo, G. and Mena, S. (2011). Business and Human Rights – The New Responsibilities of Corporations in a Globalizing World. In Wentland, M. and Palazzo, G. (Eds. ), Responsible Management Practices for the XXIst Century (pp. 25–34). Lausanne: Pearson. Gond, J.-.P., Mena, S. and Mosonyi, S. (2017). Meta-Reviewing the Business and Society Field through Sociological Paradigms: Towards Pluralistic Re-Presentations of Corporate Social Responsibility. Proceedings of the International Association for Business and Society 29 Jun 2017 – 2 Jul 2017, Amsterdam, NL. Waeger, D. and Mena, S. (2013). The Diffusion of Contested Practices across Environments: Social Movements’ Boundary-Bridging Role. Academy of Management Best Paper Proceedings 9-13 August, Orlando, USA. Mena, S. and Palazzo, G. (2010). Input and output legitimacies in multi-stakeholder initiatives. Academy of Management Best Paper Proceedings 6-10 August, Montréal, Canada. Brès, L., Mena, S. and Salles-Djelic, M.-.L. (2019). Exploring the formal and informal roles of regulatory intermediaries in transnational multi-stakeholder regulation. Regulation and Governance. Waeger, D. and Mena, S. (2019). Activists as moral entrepreneurs: How shareholder activists brought active ownership to Switzerland. Research in the Sociology of Organizations. Mena, S. (2017). Private Governance: Creating Order in Economic and Social Life, by Edward P. Stringham. Oxford: Oxford University Press, 2015. 296 pp. ISBN: 978-0199365166. Business Ethics Quarterly, 27(04), pp. 641–644. doi:10.1017/beq.2017.38 . Mena, S., Rintamäki, J., Fleming, P. and Spicer, A. (2016). On the Forgetting of Corporate Irresponsibility. Academy of Management Review, 41(4), pp. 720–738. doi:10.5465/amr.2014.0208 . Mena, S. and Suddaby, R. (2016). Theorization as institutional work: The dynamics of roles and practices. Human Relations, 69(8), pp. 1669–1708. doi:10.1177/0018726715622556 . Mena, S. (2016). Book Review: Samuel F. Mansell Capitalism, Corporations and the Social Contract: A Critique of Stakeholder Theory. Organization Studies, 37(5), pp. 735–738. doi:10.1177/0170840616631716 . Mena, S. and Waeger, D. (2014). Activism for corporate responsibility: Conceptualizing private regulation opportunity structures. Journal of Management Studies, 51(7), pp. 1091–1117. doi:10.1111/joms.12092 . Mena, S. and Palazzo, G. (2012). Input and output legitimacy of multi-stakeholder initiatives. Business Ethics Quarterly, 22(3), pp. 527–556. doi:10.5840/beq201222333 . Mena, S., de Leede, M., Baumann, D., Black, N., Lindeman, S. and McShane, L. (2010). Advancing the business and human rights agenda: Dialogue, empowerment, and constructive engagement. Journal of Business Ethics, 93(1), pp. 161–188. doi:10.1007/s10551-009-0188-8 . Palazzo, G. and Mena, S. (2009). Can Tobacco Companies Be Good Corporate Citizens? Revue Medicale Suisse, 5(210), pp. 1454–1456. Business & Society, Editorial Board member, 2018 – present. Academy of Management Review, Editorial Review Board member, 2017 – present. Academy of Management Learning & Education, Editorial Review Board member, 2017 – present. Regulation & Governance, Special issue guest editor, 2016 – 2019.
Business Ethics Quarterly, Editorial Board member, 2015 – present.